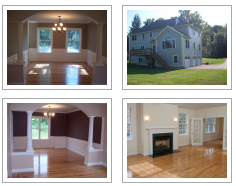 Whether you are looking for new home construction, a home remodel, or pretty much any other residential or commercial construction project, Ferrante Construction is the place to go. Our company, with over half a century of experience under our belts, performs all types of construction services, including road construction, underground utility installation, and excavation work. Why Is Excavation So Important for Home Construction? Excavation, the construction process of moving dirt, rock, earth, or other materials through the use of machinery, explosives, or tools may be needed to level property or prepare foundations before structures can be built. At Ferrante Construction, we use excavation not only in our construction of houses, but also in our road construction. Through trenching, tunneling, digging, dredging, and site development, we ensure that the ground is adequately prepared for your home or your town’s road. Without proper excavation, newly built houses could easily fall victim to Mother Nature because of their lack of a firm foundation. How Does the Excavation Process Work? With so much time, money, and effort poured into every construction project that we do, we find it imperative that we start the process off correctly with proper excavation. The excavation process begins with setting out the corner benchmarks of an area. This is followed by ground surveying and digging (or excavating) to the needed depth. Once this proper depth is achieved, the loose soil is dressed, and irrigation wells and trenches are built. Finally, building boundaries are set, and drains are constructed as the last phase of the process. If you would like more information about our excavation process, our work, or the quality service we provide at Ferrante Construction, please give us a call during regular business hours.